The following books have been published by local history societies or Sandwell libraries since 1996, and are now out of print. Since these are unlikely to be reprinted, they are reproduced here as Adobe Acrobat files so that they may be read on line or printed out for private study. The content of the books remains in copyright, where originally applicable. To reproduce text or photographs from these publications for sale or distribution, in print, on-line or otherwise either, commercially or non-commercially, prior permission should be obtained - contact us. Publications currently on sale will be added as they are sold out. "Making and Moving in Langley"
Two centuries of industry and transport in Causeway Green, Langley, Langley Green and Rood End covering the development of road, canal and railway transport in the area, mining, brickmaking, metal industries, the chemical industry, and industries such as bottle blowing, pens, food and brewing. 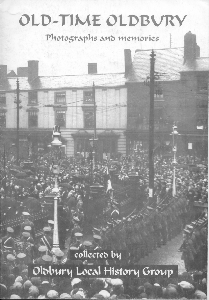 "Old-time Oldbury: Photographs and memories"
Photographs and reminiscences collected by members of Oldbury Local History Group covering: old-time Oldbury, rural remnants, pleasant pastimes, shops and shopping, church-going, schooling, fighting fires, firms and factories, war and peace, round and about in Oldbury, Oldbury re-developed. 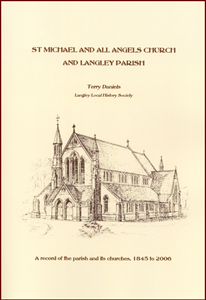 "St Michael and all Angels Church and Langley Parish"
A record of the parish, its churches, its ministers, the fabric of the church and its stained glass, prior to its closure in July 2007. 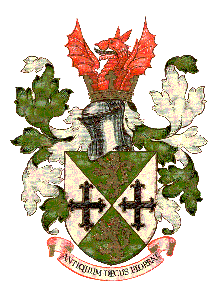 "Langley and Langley Green Recalled"
"Whiteheath and Lion Farm: A Century of Memories"
Photographs and reminiscences collected by members of the Whiteheath and Lion Farm Local History Society, which no longer operates. It covers: Whiteheath at the boundary, the lost landscape, house and home, church and chapel, learning, working, shopping, playing. 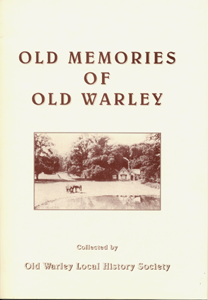 "Old Memories of Old Warley"
Photographs and reminiscences collected by members of Old Warley Local History Society covering: farms in old Warley, old Warley miscellany including schools, churches, shops, clubs, individual reminiscences, and an account of a local murder trial from the 1820s.